In 1954, the long and deadly hand of the Cold War touched the Spokane Reservation. Uranium was found in the remote mountains. To exploit this fuel and bomb-making material the Midnite Mine opened run by the Dawn Mining Company. The radioactive ore was used to build nuclear reactors and weapons, and the tribe was left with a toxic legacy that continues to this day. At its height the Midnite Mine employed approximately five hundred people from the Spokane reservation. In fact the people who found the site were a pair of brothers from the Spokane Tribe, Jim and John Lebret. The jobs the mine provided were much appreciated by many on the reservation. However, the dangers of the green speckled stones were not understood. Some employees would come home with pieces of radioactive ore sprinkled on their clothes, exposing their families to the radiation. Today the legacy of the Midnite Mine is a superfund site (US federal government program for cleaning toxic waste sites). 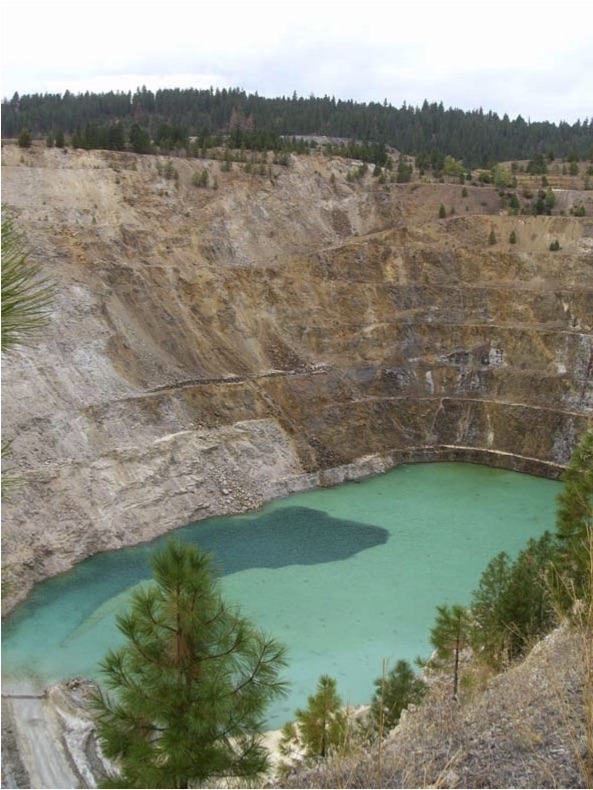 High levels of radiation contaminated huge swaths of the Spokane reservation, not just the mine itself but also the Blue Creek drainage system in which the treated radioactive water is currently dumped. There are advisories to not eat the animals, and plants collected in the Blue Creek system. Blue Creek carries its radioactive legacy into the Spokane River, which flows into the Columbia. Clean up of the highly toxic site begins in 2015. The new plan must meet the strict standards set by the Environmental Protection Agency, and water quality standards set by the Spokane Tribe. The new plans will cap the open pits, and transport the treated water directly to the Spokane River. Toxic Lake: The open pit and toxic lake at the bottom of the Midnite Mine. Photo courtesy of Environmental Protection Agency. 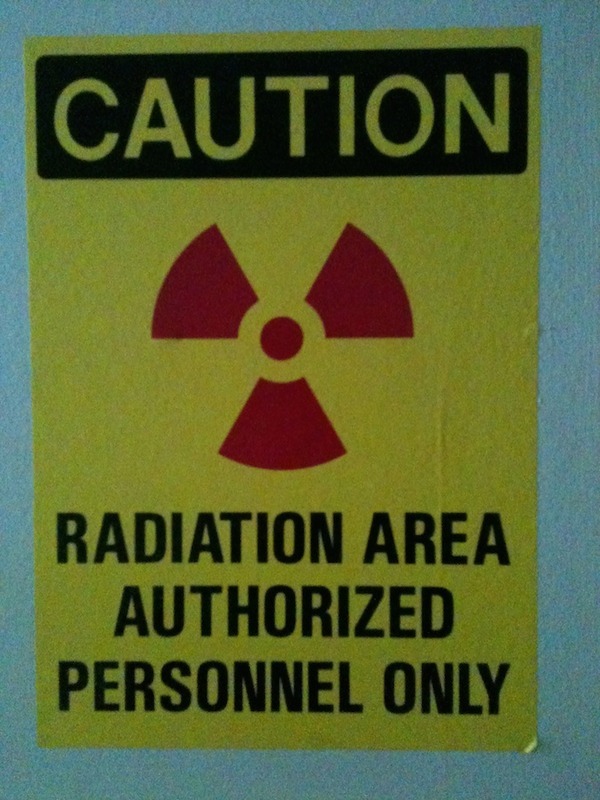 Caution: Radiation Area: Today, access to the Midnite Mine is limited due to the high radiation levels in the area. Photo courtesy of Casey Baulne. 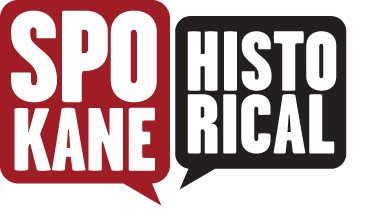 Casey Baulne, “Midnite Mine,” Spokane Historical, accessed April 19, 2019, https://spokanehistorical.org/items/show/502.